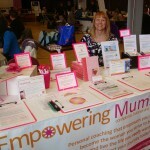 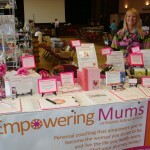 I would like to say a big thank you to all those ladies, and the odd gentlemen who felt a little left out, who came to visit Empowering Mums at the Cheshire Mind, Body and Spirit Fair at the Northwich Memorial Hall. 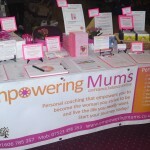 It was lovely to meet and chat with everyone who came along to see and support Empowering Mums at this twice-annual event. 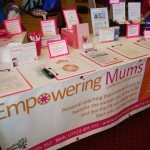 Many signed up to our free newsletter Empower, which is packed full with topics and articles relevant to mums, suggestions about how to cope with life’s many challenges, hot topics, personal development tips and special offers.